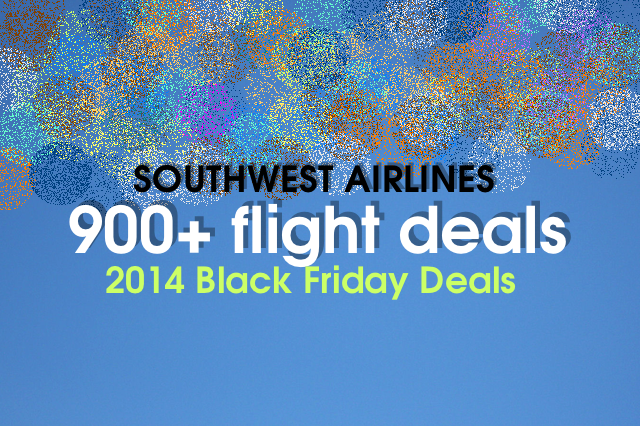 SouthWest Airlines has announced over 900+ Black Friday (2014) flight deals and you can find them in this post, all in one page. Better yet, you could sort by price, from city, destination city etc. These deals have some restrictions and we have provided those below the pricing table here, but you might have to check them out at southwest website. How to use the deals table below? Here are a few things to quickly get to what you need from the 900+ deals without going through every piece of deal! Say, you are searching for flight deals from Chicago or flight deals to Tampa, FL, just use the search box above the table to search for city name. Also, you can sort the entire table by price or city name from and to columns by clicking on the header of the respective data you would like. Another way to navigate is to just use next page and previous page buttons located under the table.